Rich in mystic history and home to some of the most sacred sites on the planet it’s no wonder so many are called to explore and experience India. And, if you’ve landed here, it’s likely that you are one of those souls being called and invited by this sacred land. ...To go deeper, and have a wild adventure… (of the soul)! Because, by now you’ve realised there’s a lot more to the Universe and life than we've been taught. And, if there’s one thing India knows how to do, it’s teach! Come learn, come journey and come play in this transformational treasure trove of spiritual riches. The North India Ashram & Spiritual Tour is a 17-day trip designed to give you the very experience you’re seeking – a journey of wonder, awe and complete aliveness. For many, India is a stepping stone to better understanding oneself and others, and realising the world is far from black and white (it’s gloriously messy, bright and multicoloured, like confetti in a tornado). 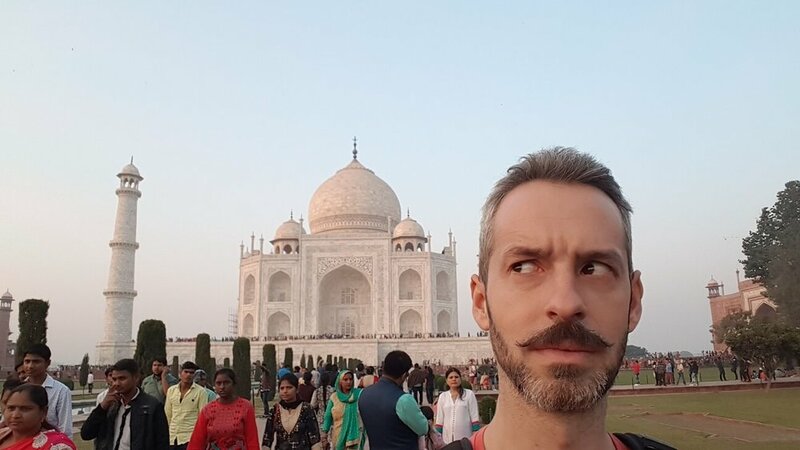 For many westerners, India can at first seem a bizarre and unfamiliar world with myths, symbols and customs that seem downright strange. But, by the end of this enriching spiritual journey it is common to find you have encountered unexpected regions within yourself. Sure, India will assault your senses and shake up your very existence, but isn’t that why you’re going? To escape the routine and predictable bubble you’ve created, to an unfamiliar place where you can experience shock, exhilaration, and awe…all within the same 5 minutes? So, if you’re ready to stray from the conventional tourist path (I’m sure you’ll agree the spiritual path is much more fun), unlock the boundaries of your mind, and perhaps pick up a few mysteries of the universe along the way, join us on this spiritual trip to India. Your spiritual adventure begins in chaotic Delhi where you’ll be welcomed by your tour guide Jay Weinstein, a Mumbai-based, Hindi and English-speaking photographer of Australian-American heritage who’s been based in India for the last 14 years (hint: this means he knows his stuff and you’re in safe hands). Here you’ll meet 4-11 travel companions who’ll make up your intimate tour group, before being transferred to your comfortable hotel to rest overnight. The adventure begins! We travel to picturesque Rishikesh where you’ll settle into life in an ashram. Here you’ll experience Shiva Puja (the ancient Hindu tradition of worship to Lord Siva through the use of mantra, tantra, kriyas, mudras, and abhishekam) followed by Bhajan chanting. We stay in the ashram temple overnight for the first time. The morning begins with scenic walk along the holy river Ganges, the third largest river in the world by discharge, and one of the most sacred to Hindus. After lunch we take a short drive to Laxman Jhoola to commence a walking tour through Rishikesh, which is sure to inspire you with its radiant beauty. At sunset witness a special prayer ceremony called ‘aarti’ on the banks on the Ganges at Parmath Ghat. Overnight Rishikesh. An evening Ganga aarti unfolds at Triveni Ghat, Rishikesh, as hundreds of pilgrims join in. The ashram program is yours to explore. Immerse yourself in the world of yogis with a range of ancient healing and spiritual practices including yoga, pranayama (breathing techniques), meditation, meditative walks, mantra and chanting. We open discussion on Vedic philosophy with practical gems on how to apply this to daily life. Here’s your opportunity to ask all your questions and participate in an intimate sharing of personal insights and experiences among the group. During this stay we also visit Muni-ki-Reti or the “sands of the sages” and experience the aarti at Triveni Ghat. The last day of the program closes with a magical ‘fire ceremony’, before we make our way back to Delhi. Storm clouds gather above Manikarnika Ghat, Varanasi. In the morning we soar to what’s known as the beating heart of the Hindu universe. 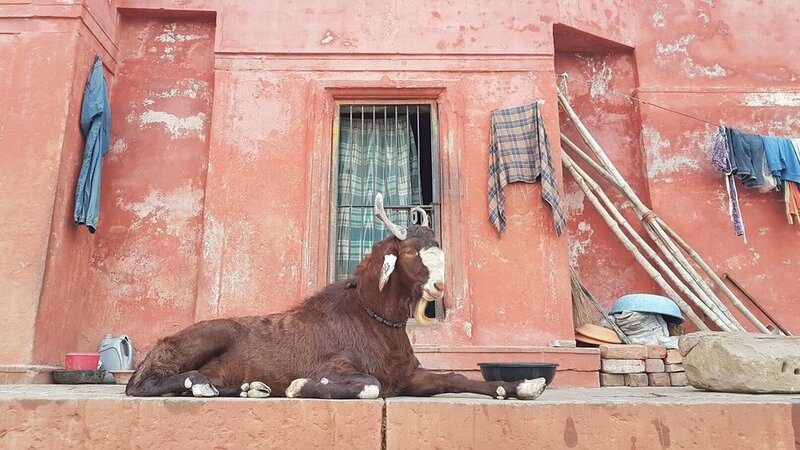 A short flight away from Delhi, Varanasi is one of the world’s oldest cities to be continually-inhabited. The afternoon is yours to wander and play in the narrow alleyways of the old city and get lost in the high energy of this amazing place. At sunset, enjoy a boat ride on the Ganges and experience the beautiful aarti ceremony, honouring ‘Mother Ganga.’ Overnight Varanasi. We rise at 6am to witness the early morning Hindu Prayer rituals during a boat ride on the Ganges, and then return to the hotel to replenish with a nourishing breakfast and downtime. Next, we take you on a walking tour of the winding alleyways of Varanasi’s fascinating old city and interesting sites. At sunset, attend the aarti ceremony at the Ghats. Also called ‘Fire Puja’, the ceremony is a dedication to the River Ganges, the Sun, Lord Shiva, Fire and the whole universe. Overnight Varanasi. Our morning Ganga River boat ride in Varanasi, Uttar Pradesh. After breakfast we drive to Sarnath, where Buddha gave his very first sermon. Marvel at the ancient stupas, the Buddhist temple and archaeological museum before we fly back to Delhi for overnight stay. Today we have an early drive to Agra for a guided tour of the world-famous and breathtaking jewelled Taj Mahal, described as the most extravagant monument ever built in the name of love. We also visit the colourfully decorated ‘Baby Taj’ and Fatehpur Sikri, an enchanting ghost city built in 1571 by the Moguls, before a short drive to Bharatpur for overnight. We take a fun early rickshaw ride around the peaceful Keoladeo Ghana National Park, a UNESCO-listed bird sanctuary home to approximately 380 bird species from across the globe. After a leisurely breakfast, we drive to Vrindavan, land of Lord Krishna, to explore some of the temples and sites including the very interesting old city and a walk around the Parikrama Path. Overnight Vrindavan. It’s almost over. We spend the morning in Vrindavan before driving back to Delhi for a final group dinner with fellow travellers who by now you’ll no doubt call friends. It’s your final evening on the tour, but not the last you’ve seen of India (we hope). After breakfast, we exchange goodbyes and contact details. You have the option to transfer to the airport for flights back home or spend the day at your leisure. We hope to leave you inspired, delighted, wiser, and forever changed. More in tune with yourself and with life. All through the journey, you have the Mumbai-based international photographer, Jay Weinstein by your side. Jay moved to India at age 3 with his parents, both teachers on a search for meaning. Jay spent the next 12 years living in an ashram environment in Vrindavan, a historic town filled with temples and cheeky monkeys, two hours south of Delhi. One does not grow up in the pilgrimage centre of India without learning a thing or two about spiritual principles and teachings. 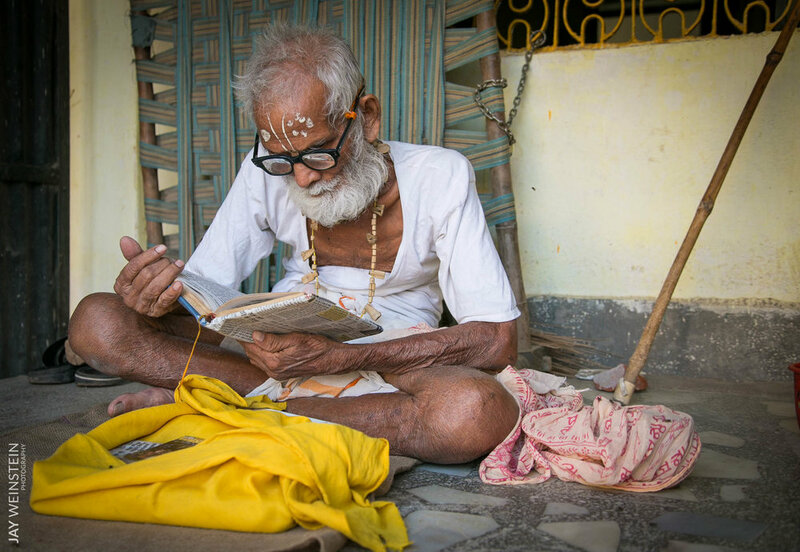 Raised by a philosopher (father) and artist (mother) with ten years of education on traditions, scriptures, art and culture, Jay is no stranger to India’s spiritual history and wisdom. At 15, Jay’s family moved back to Australia for his secondary education. We’ll skim over the part where he moved to LA to be an actor at 21, ended up in advertising and eventually fell into photography and travel. Jay kept thinking he was done with India, yet he returned, year after year, finally moving to Mumbai in 2004 where he’s been based since. 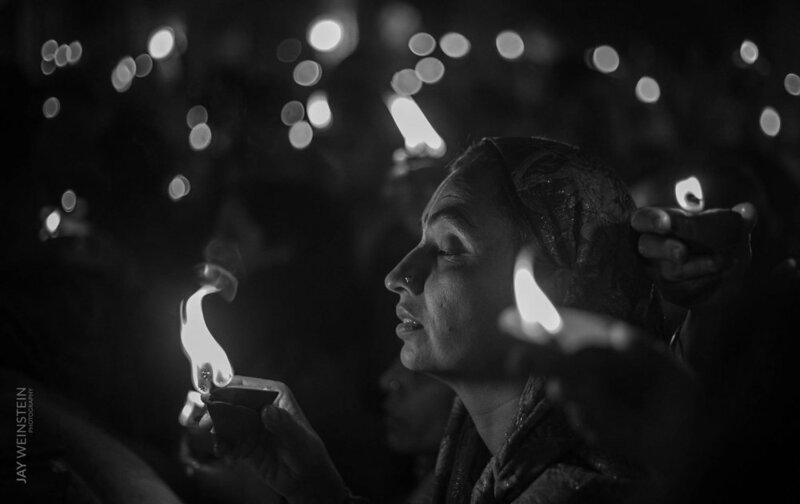 His love of sharing India was reignited through his photography, which forced him to explore the country with fresh awareness. Today Jay is full time photographer, traveller and tour guide. Being neither Western nor Eastern gives Jay a unique perspective into Indian culture and a talent for translating her quirks for a Western audience, in a way that is nuanced, insightful, and meaningful. 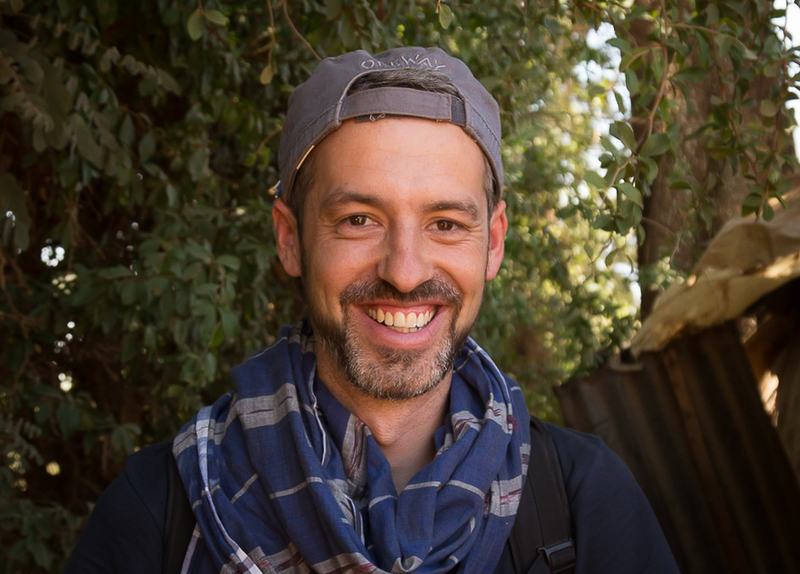 In other words, he “helps you make sense of the chaos”, and brings a sense of wonder and joy to the experience with authentic connections with locals and other likeminded travellers. 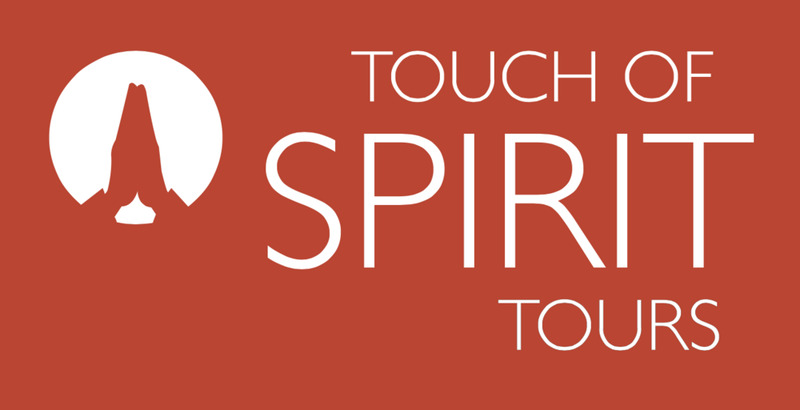 Touch of Spirit Tours was birthed in 2006 by Australian accountant Mela Joy, who having travelled off the beaten track, discovered a calling of her own... to share India’s breath-taking beauty and spiritual prowess with other seekers in a safe and authentic way. We have now grown to include over 12 tours, spanning North and South India, Nepal, Sri Lanka and Tibet. We’ve thrived because of our glowing reputation from past travelers who’ve journeyed with us through cultural experiences, self-discovery, health and spiritual fulfillment. Experts across different fields (Nutritionists, Yoga Instructors, Spiritual Healers, Tourism Guides) are employed to make our tours truly unique and *hand-to-heart unforgettable. You can rest-assured that when you tour with us, you will experience the “real” country - meet local people, taste authentic food, and visit out-of-the-way unknown places as well as the eye-dazzling famous sights. Limiting our tour group to up to 12 explorers allows us to keep things more personal, tailor the experience, and accommodate to individual requests (like taking you to the perfect spice market or bazaar for that trinket you’ve been looking for). It also enables us to practice “safe spontaneity” - Participate in random unplanned activities like festivals, parades and weddings without displacing the itinerary or risking cultural offence. Being in an unfamiliar environment, especially one as unpredictable and foreign as India, it’s natural to feel overwhelmed and be concerned about safety and offending anyone. How should I deal with a tuk tuk driver and a broken meter? Which traditional foods should I embrace, and which should I avoid? What's the proper etiquette for a shrine or temple? Our expert guides arm you with the cultural knowhow, so you can navigate this new territory with cultural sensitively (and feel comfortable to come back again on your own). We think everyone has something to take away from this majestic land, but there are many ways to see India and this is just one of them. But, is it right for you? If you find yourself nodding along to at least 5 of the below points, then chances are this tour was made for you! You’re not just looking for “a trip to India”. You want to have a deeper experience. And, while you’ve always dreamed of visiting India, you feel a tad intimidated by the idea of actually going. You’re more about intimate connections, giving things time, and being completely present to an experience, rather than large-scale commercial touristy tours (aka hop-on-hop off bus tours). You’re in (or nearing) retirement, the kids are grown up, and it's time set off on your next adventure - giving back to yourself! You're a working professional who wants to escape the daily grind and immerse yourself in a completely different (and deeply nourishing) environment. You have a growing spiritual curiosity and enjoy pastimes like yoga, meditation, chanting, breathing, and reading….but you’re feeling a pull to go deeper and dedicate more time and awareness to these practices. You’re seeking an authentic ashram experience with expert facilitators to help you tap into that inner knowing. You’re feeling a little bored with the familiar and want to reawaken and challenge your senses and thought patterns. You love a good esoteric chat about life, the universe, and what’s beyond … without taking yourself too seriously. You can’t help it, you’re a deep thinker, but by no means does that mean you don’t like to have fun and laugh and keep it light.... Also, you love connecting with like-minded, positive, interesting people from all walks of life, who are exploring and asking the same questions. While you’re ready to escape the familiar and experience authentic India, you still want to be comfortable and feel safe under the guidance of a highly knowledgeable and exceptional tour guide (you don’t want to deal with all the logistics and planning of transportation, entry fees, where to eat, finding an authentic ashram, etc). On the whole you’re healthy and fit enough to manage on foot with walking tours, hikes, steps, and uneven ground. Sound good? Hurrah! Let’s move on. The sun rises over the Ganges River in Varanasi, Uttar Pradesh. Upon booking, a deposit is required to secure your place. Need some help, or want to speak to someone? For bookings and enquiries call 1300 722 932 or email info@touchofspirittours.com.au with Subject: Spiritual Tour with Jay.